Ashlyn Portrait. She plays the ukulele, which I asked her to bring for out photo session. A couple of months ago I had the pleasure of photographing Ashlyn. She is a teenager who I saw on the runway at a fundraising event for a support group that we both belong to, About Face International. 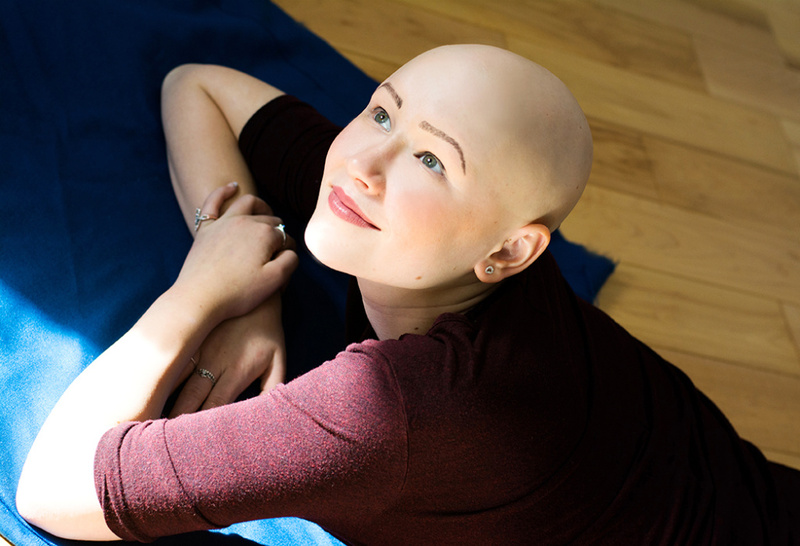 Although we did not officially meet at that gala, I was drawn to Ashlyn’s uniqueness and beauty and hoped to reach out to her after the gala. Don’t get me wrong, I was inspired by all the unique individuals on the runway, but I particularly noticed her and instantly wanted to photograph her. 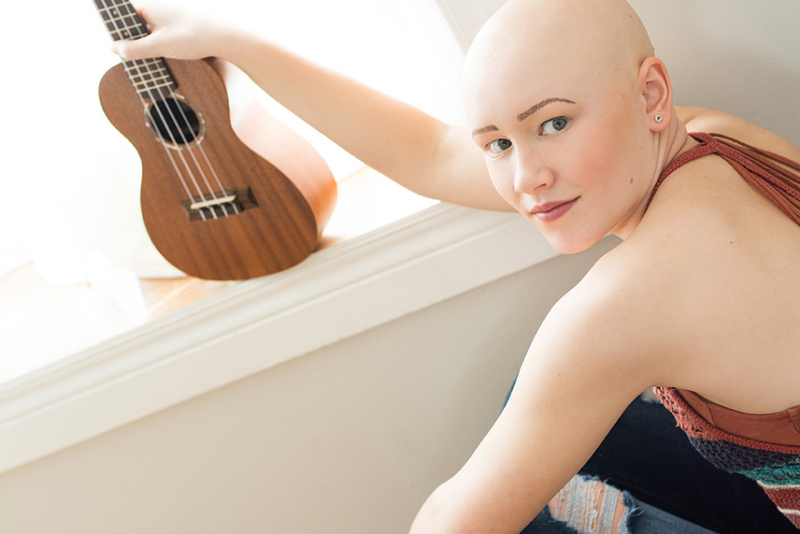 For me, photographing individuals who display both a unique beauty and strength is what photography is truly about for me. 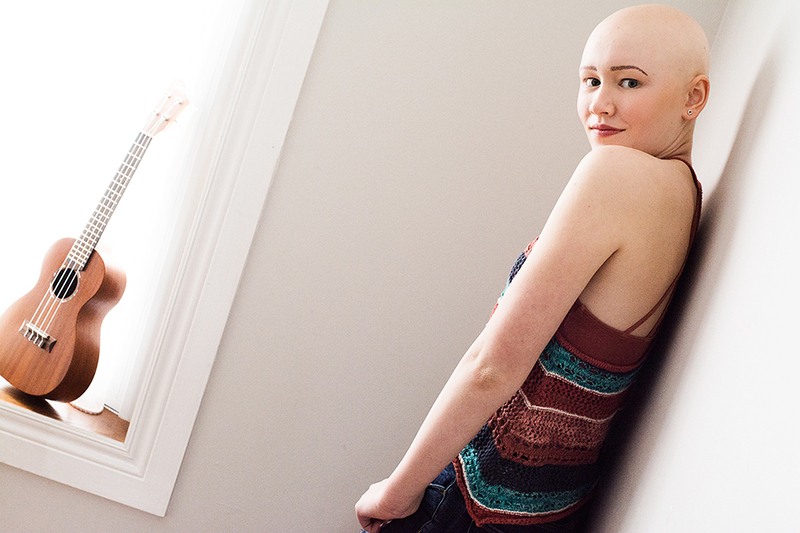 Ashlyn is currently 15 year’s old and she has had Alopecia Areata, since the age of 5. 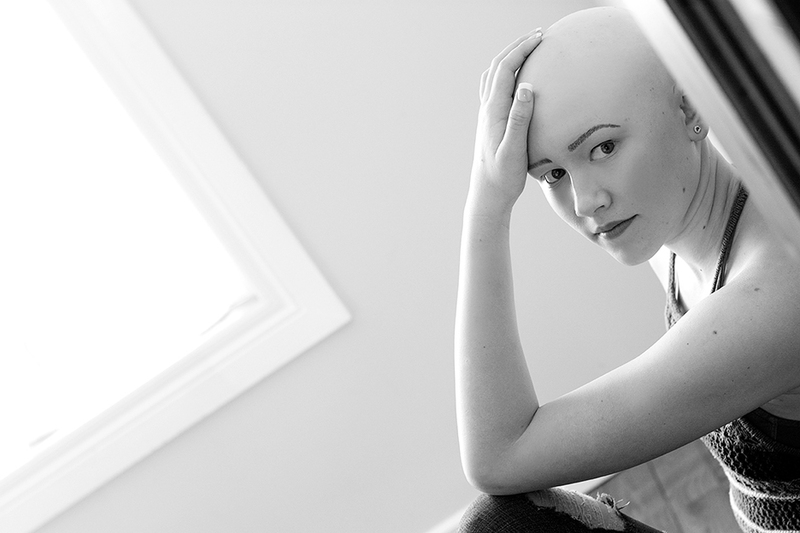 This is an autoimmune disease where the individual has no hair anywhere on their body. This is largely a hereditary disease. 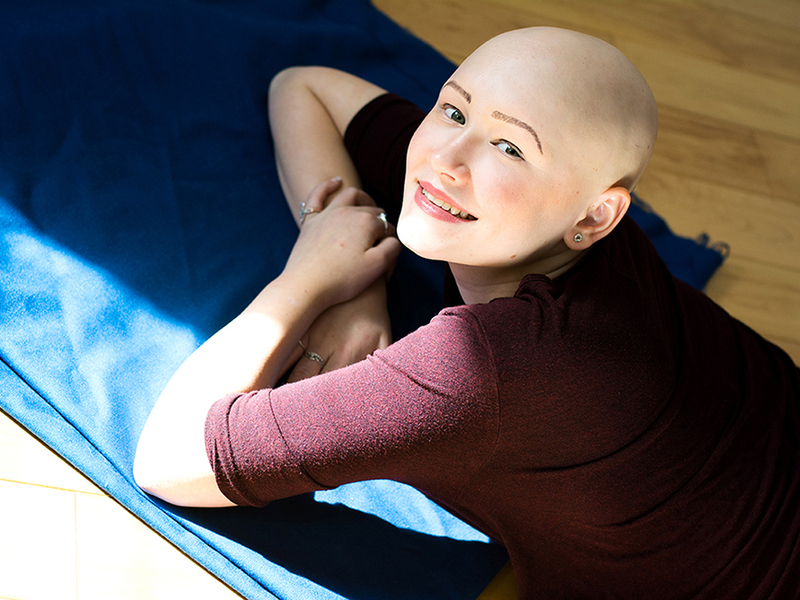 You can read more about Alopecia here. About Face International is a support group that provides life-changing experiences for people with facial differences. Many of these individuals were born with a difference. The ‘Light Up The Night’ gala was a huge success and organized by these kids/teens and adults. You can read more about this gala here, where I dedicated a blog about the event. Their Executor Director, Anna Pileggi, was kind enough to introduce me to Ashlyn’s mother, and we fortunately organized a photo shoot two months later. Although I initially had a specific idea of what I wanted this photo session to encompass, it ended up taking on a natural and calming vibe where it became more about enhancing her enticing features and keeping things simplistic. Originally I was going to have her wear fake eyelashes and over dramatize the makeup. That edginess didn’t seem to fit the feeling I felt from her when we met for the first time at our session. Photo shoots can sometimes take on a different turn than planned, and I have to go with the flow and follow my gut when this happens. This was yet another example for myself, and reconfirmed what my mission is as an artist. I’m glad I could do just that with Ashlyn. 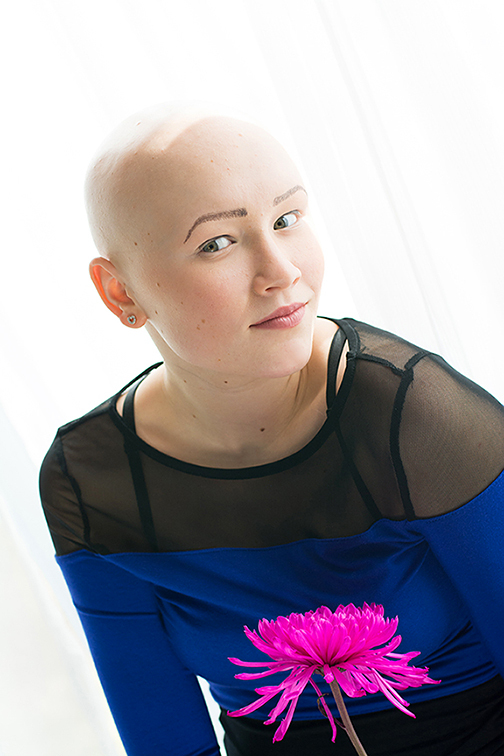 Ashlyn does wear a wig when out in public sometimes, as many individuals with Alopecia do. I can honestly say that her great features take on a new level when she is hairless, but I can appreciate the fun she must have with wigs and exploring different looks. This post displays some images that both Ashlyn and I particularly liked. I personally love the colour shots, but some of the black and whites worked better depending on the lighting. It was my pleasure meeting her wonderful mother Karen as well, and I certainly hope to see them in the future. About Face International has always been close to my own heart due to my own personal experiences and struggles being ‘different’, which you can read more about on this blog post. Love the peacefulness in her eyes in this photo. Black and white portraits create a completely different feel. Love the mood in this shot. 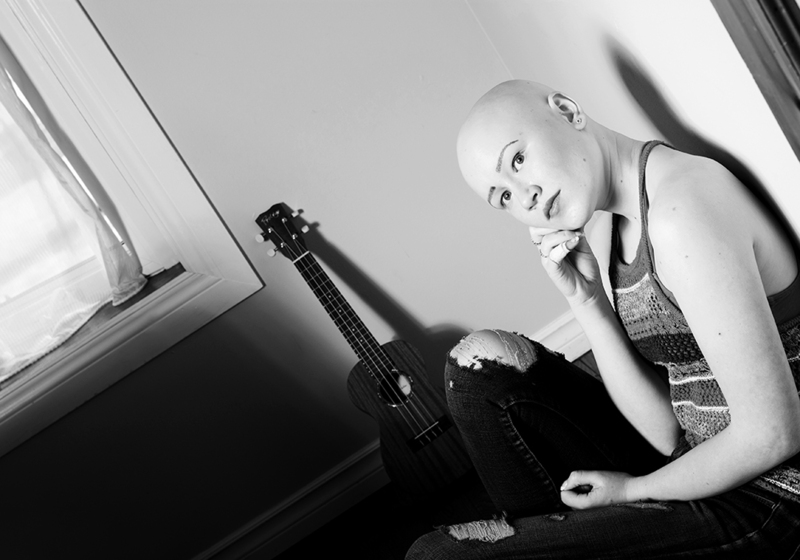 You can see some of these photos alongside quotes from Ashlyn on the Lifestyle page of my site. These are ideally the type of photos I am aiming to focus on with my work in the coming years. Taking lifestyle portraits of unique individuals who make an impact, is what motivates me as an artist. Advertising portraits that reveal a beauty that does not fit the norm is what the public needs to see and value more. When my photography can educate the public, it feels like my work has a greater purpose. 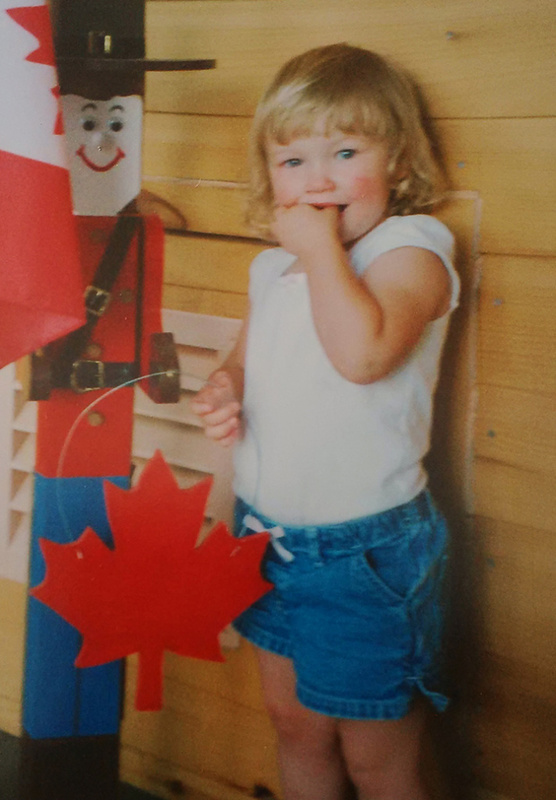 Ashlyn, age 3, before Alopecia came into her life and her hair was lost within a few months. And the gorgeous person she is today! ← The National Women’s Show- Always a Great Annual Show! 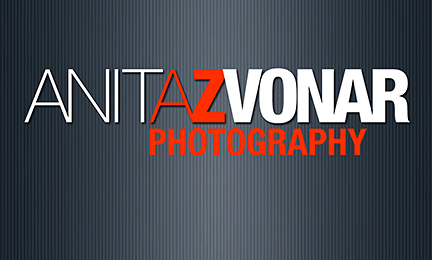 Event Photography to capture the weekend.